William Lishman was an award-winning sculptor, filmmaker, inventor, naturalist and public speaker, president of William Lishman & Associates Limited, Vice President of Paula Lishman Limited and Chair Emeritus of Operation Migration Inc. Described by the Toronto Star as a "dyslexic, colour-blind, wildly creative sculptor", he died less than two weeks after being diagnosed with leukemia on December 30, 2017. Now, nearly a year after his passing the team from DomeOnTheWeb.com remembers the honor we had when we had the opportunity to interview this most accomplsihed man in 2009. Bill Lishman's life was documented in the 1996 movie Fly Away Home. Lishman pioneered advances in ultra-light flying and became known for taking flight with flocks of geese. 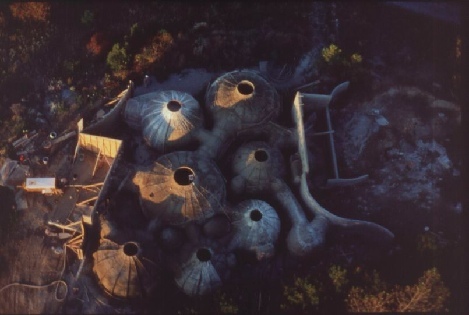 But, as much as he was known for having his head in the clouds he also found meaning by constructing a ground-breaking underground dome home complex in his Ontario homeland. Bill Lishman's unique homestead was the culmination of years of research and countless hours of design. Why build below the earth? There are many advantages to earth integrated architecture. With the earth as insulation, heating and cooling energy requirements are significantly reduced, especially in windy areas. 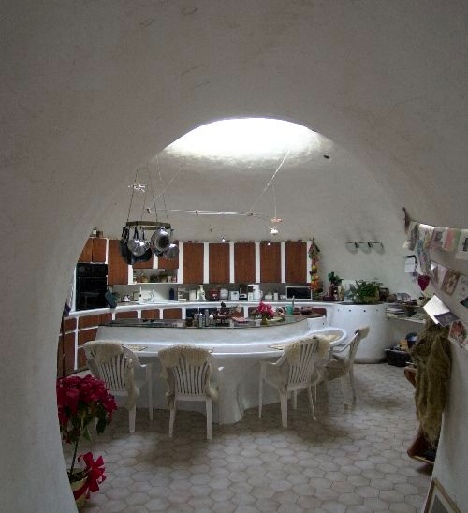 Underground homes offer protection from storms, never have to be painted, shingled or have the eaves troughs cleaned out! This unique form of construction is unobtrusive, leaving clear views, and can be covered with gardens and lawns. Lishman and his family lived in their home for well over a quarter of a century and according to the builder it worked exceptionally well. With experience he knew the strengths and weaknesses of the design inside and out. Lishman was constantly updating and refining his concept. His goal was to make it available in the marketplace to accommodate everything from a single dome dwelling to a whole community of dome homes. Bill's life's work and biography can be found at his website linked below.